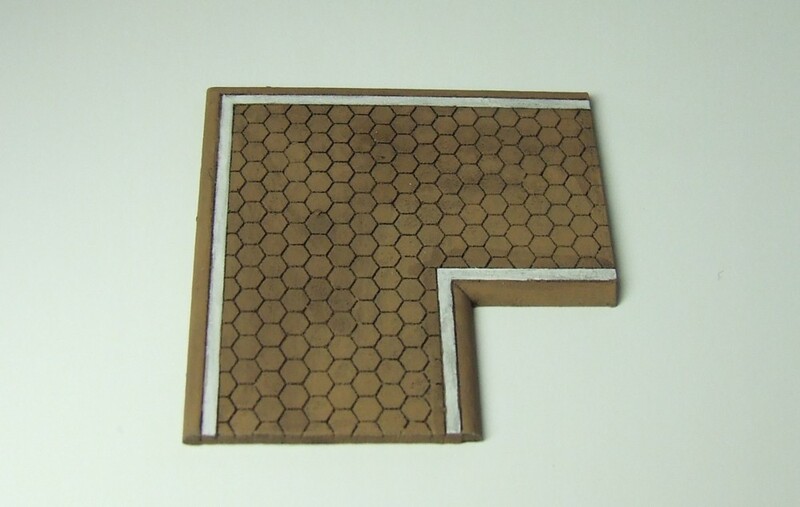 Yes, at long long last I have pulled my finger out and made the HexWay corner section! 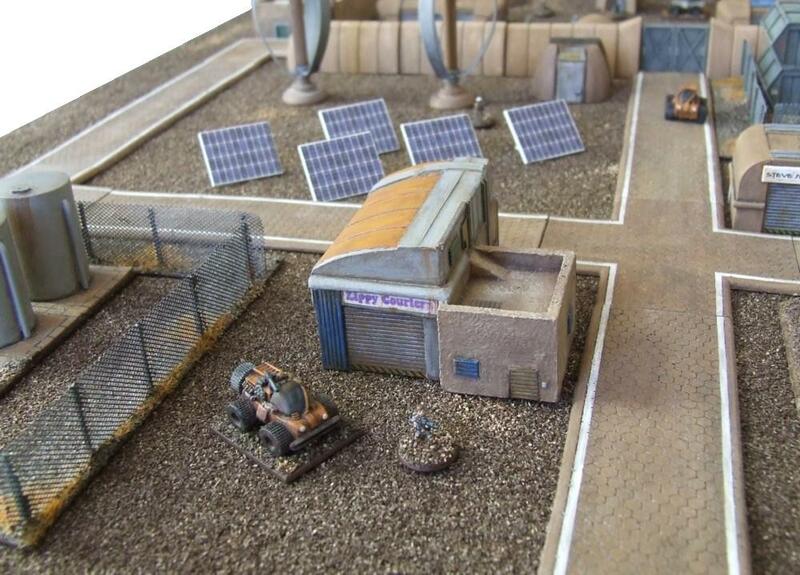 Below we can see how the town of Mariposa makes use of HexWay roads. 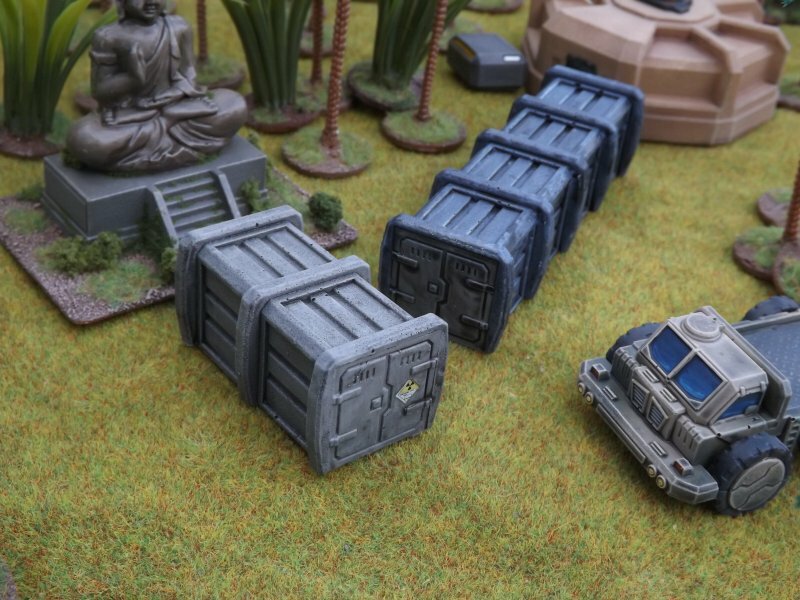 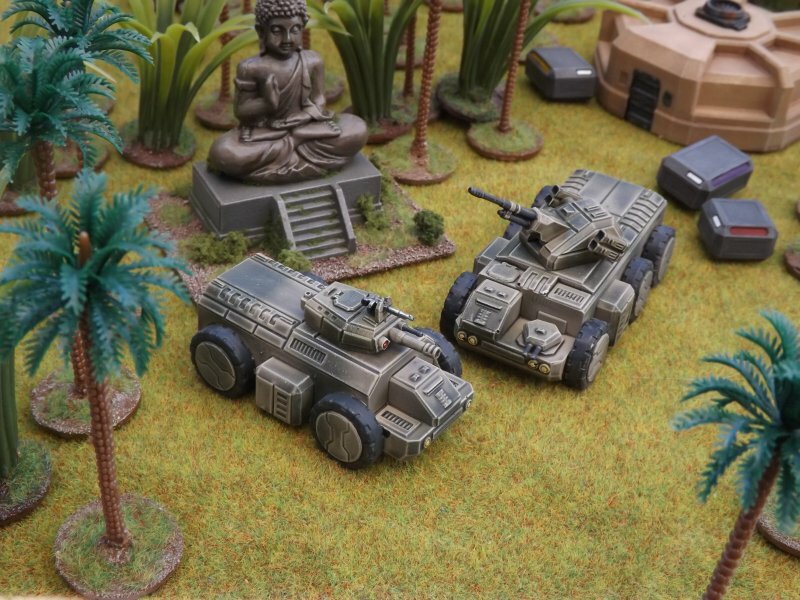 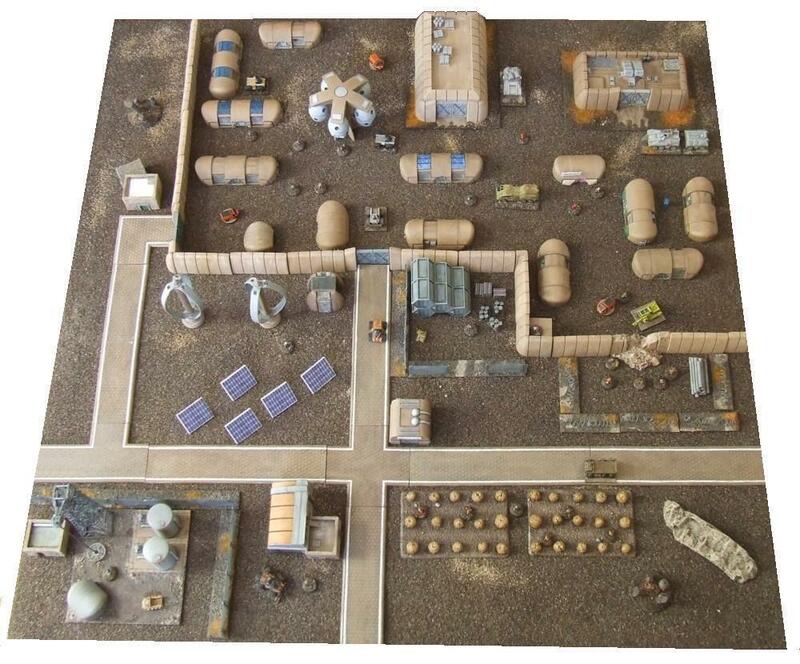 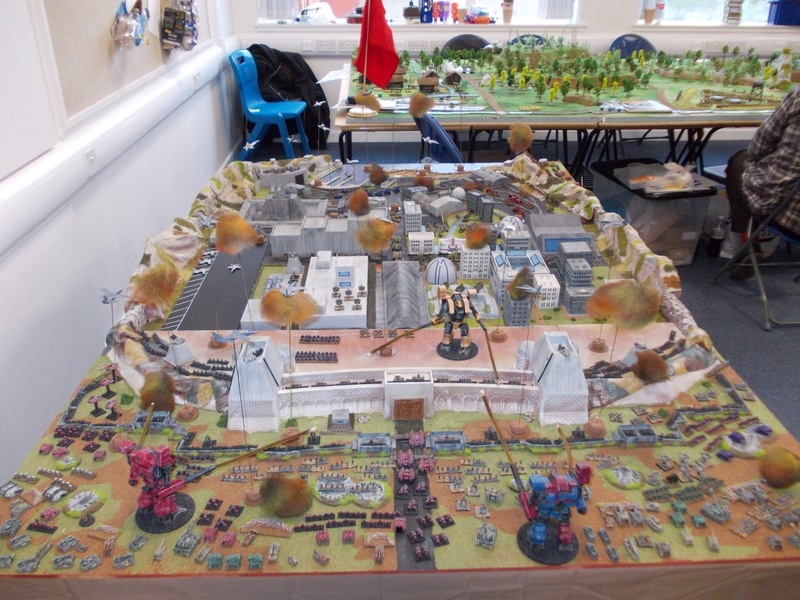 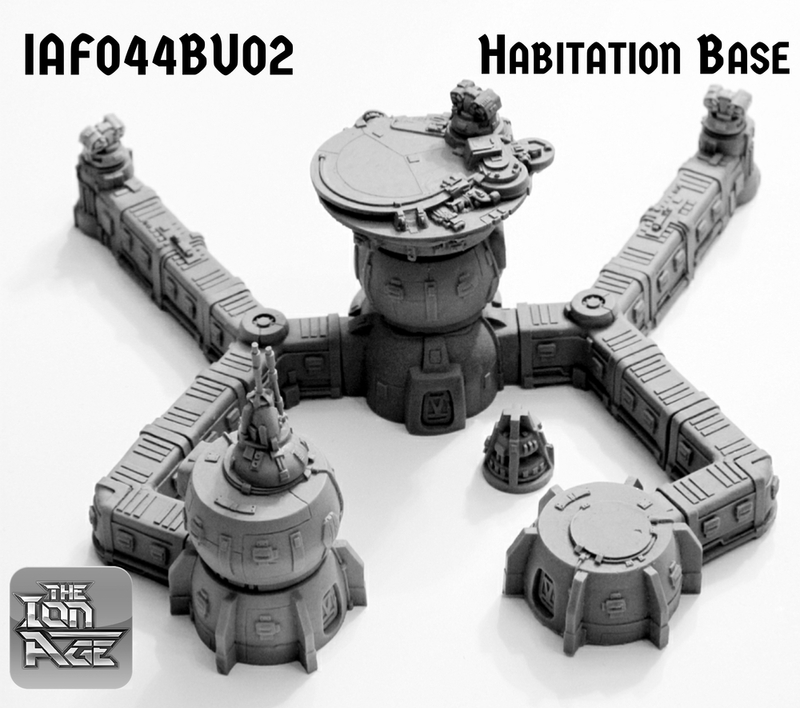 Northumbrian Painting Service and MBM Scenery launched their new Sci fi buildings, resin blast craters and Epic demonstration game at 'Targe' the Kirriemuir Wargames Show on Saturday 8th November. 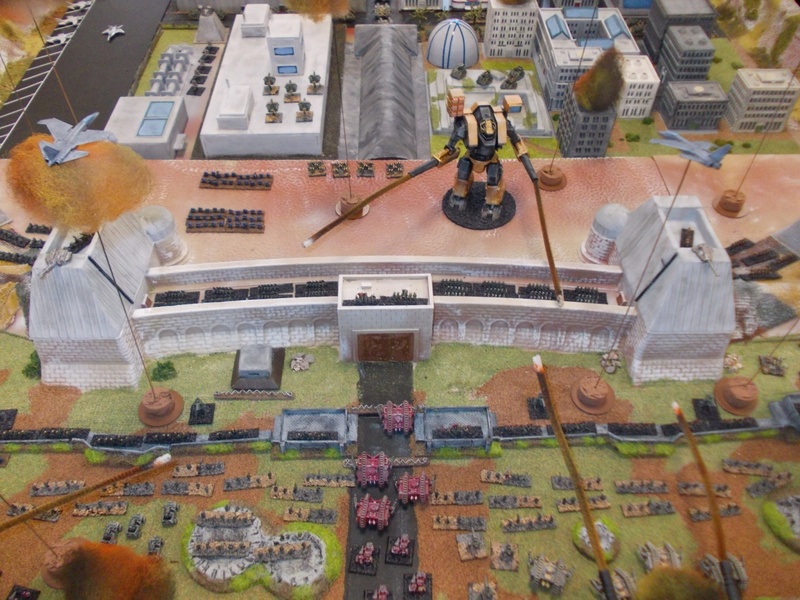 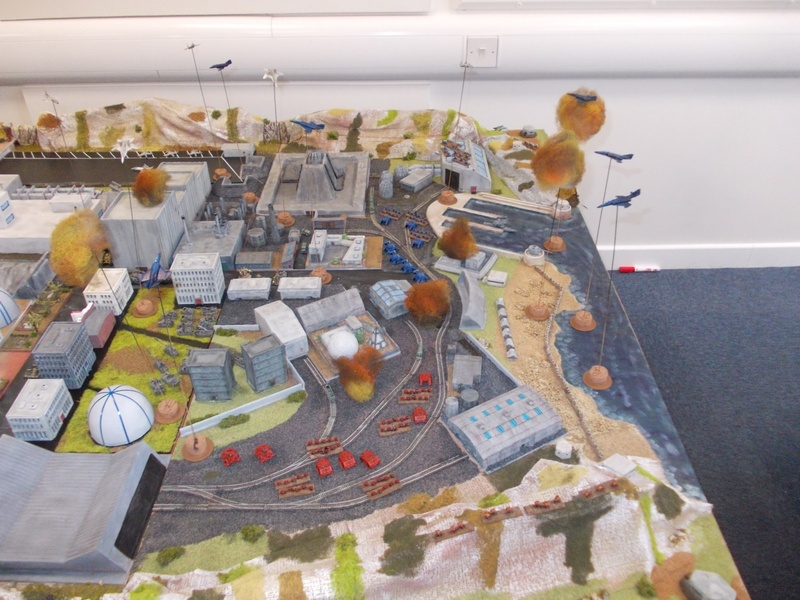 All buildings and terrain were painted by MBM Scenery and the game proved to be very popular winning 3rd place. 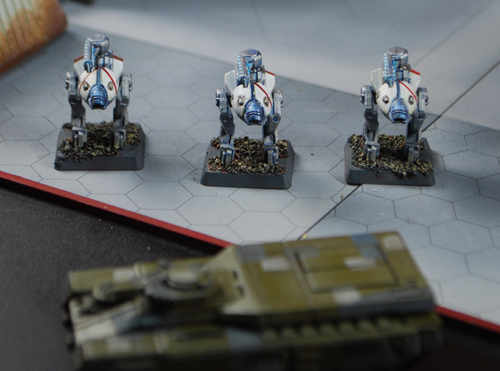 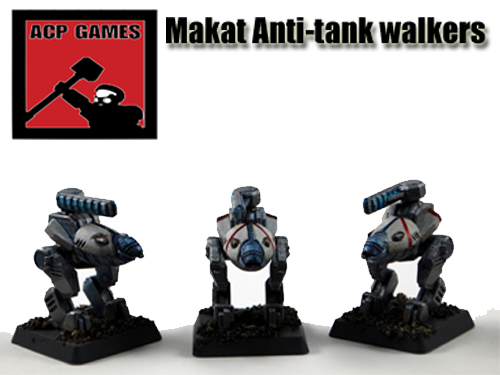 Makat Anti-Tank walkers for your robotic forces.